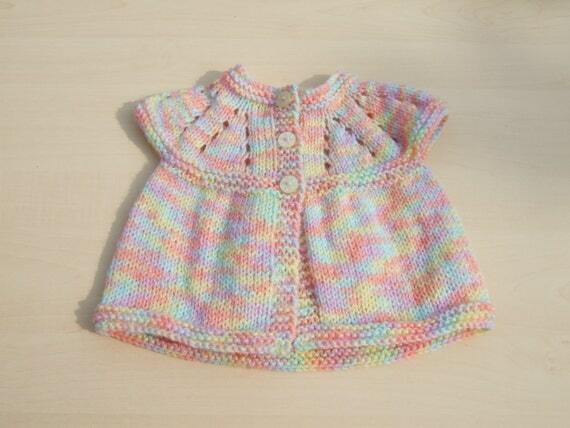 This cute little sleeveless cardigan or top have been hand knitted using a lovely yarn called nursery which is a mixture of pastel colours including lemon, peach and pale green. It has cap sleeves which just cover the shoulder and a pretty eyelet pattern to the yoke. It fastens down the chest with three button. Would be great for additional warmth over the top of a baby grow. To fit 16 inch (4.5cm) chest which is about newborn baby size.